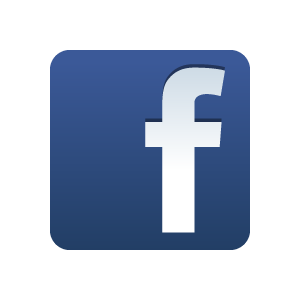 10+ Seeds (larger quantities available). 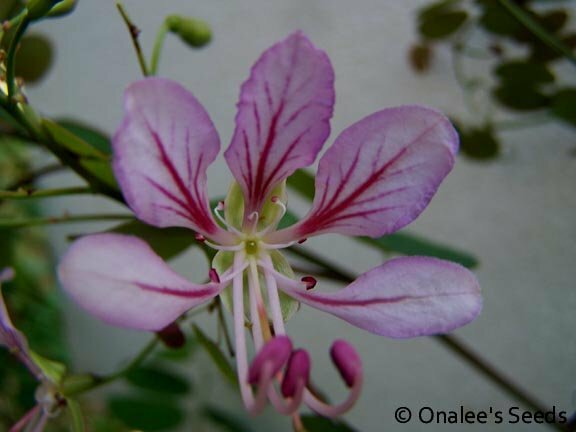 The Orchid Vine, Butterfly Vine, Fairy Vine (Bauhinia yunnanensis) has delicate looking pink-purple flowers with darker purple veins that do, indeed, look like orchid blooms. But don''t be fooled by the lovely looks, this vine is HARDY and TOUGH! Evergreen in my zone 9a (down to 20?F) and blooming almost YEAR ROUND, this vine offers unusual ''butterfly'' foliage as well as non-stop flowers. A must have for any collector! 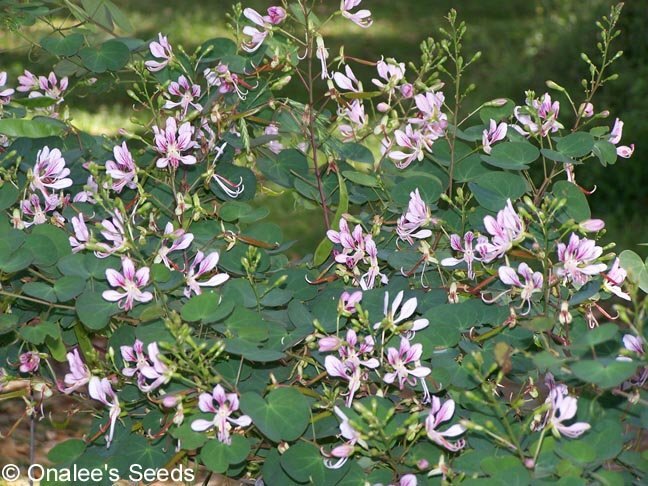 You are buying 10+ Seeds for the Orchid Vine, Butterfly Vine, Fairy Vine (Bauhinia yunnanensis) (This vine is very similar to, and often confused with, B. corymbosa. From my research, there are only slight differences between the two species). Use the drop-down box near the 'order" button to choose a larger pack size for a discount. 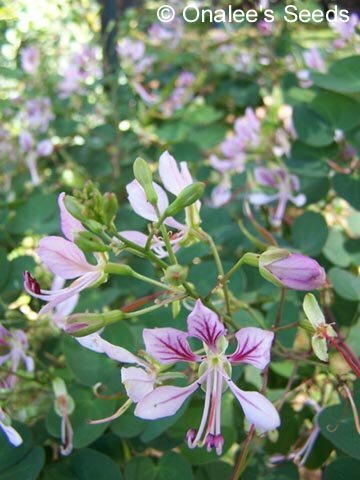 This vine has delicate looking pink-purple flowers with darker purple veins that do, indeed, look like orchid blooms. But don't be fooled by the lovely looks, this vine is HARDY and TOUGH! Evergreen in my zone 9a (down to 20?F) and blooming almost YEAR ROUND, this vine offers unusual 'butterfly" foilage as well as non-stop flowers. The new growth on the leaves is a deep purple-red, a great compliment to the flowers! A must have for any collector! This fast growing vine prefers full sun to part shade and will do well in fairly dry conditions, but will thrive with some regular watering. Evergreen to zone 9a (for certain because that's where I live) it is reported to be hardy to zone 8a. These can take a year to 18 months, depending on conditions, to get the first blooms from seed not suitable to grow as an annual. I know you'll love both the foliage and the flowers on this rare and unusual vine! Despite the numerous flowers, the peas take a long time to mature and very few flowers set peas, so I don't have a lot of these available.